It’s been a long winter here in Ohio. So last week when the remaining snow melted away, the temperatures rose above 40 degrees and the clear, blue skies beckoned and enticed me to head outdoors, I picked up my mom and dad and with my teenage daughter, we drove to Amish Country to explore. Shopping and sightseeing can sure work up an appetite so I used my Restaurant.com smartphone app to locate an area restaurant where I could use one of my Restaurant.com gift certificates. 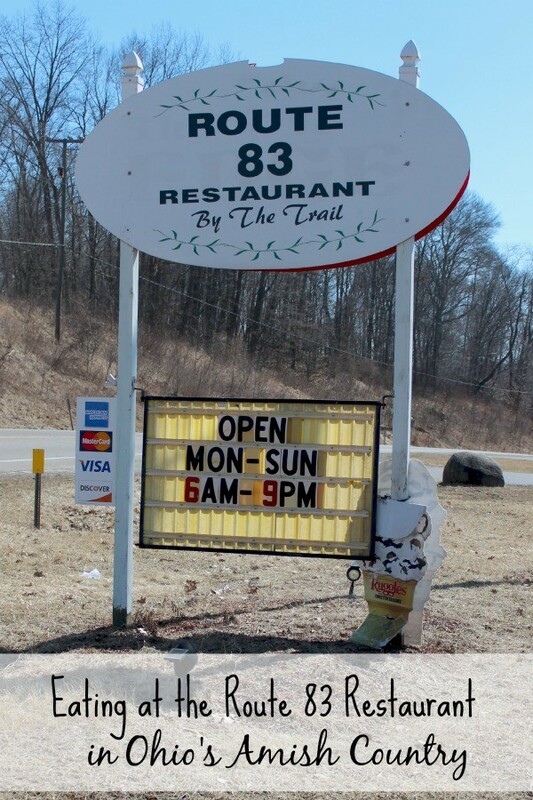 I found a couple, but settled on Route 83 Restaurant near the Holmes County Trail in Holmesville. Restaurant.com allows me to purchase gift certificates at a discounted price and discover new restaurants that I normally may have overlooked. Route 83 Restaurant offered gift certificates in the amount of $10, $15, $25, $50, $75 and $100. Since there were four of us, I selected a $25 gift certificate which required that I spend $37.50 or more, which covers the cost of the food for the restaurant. 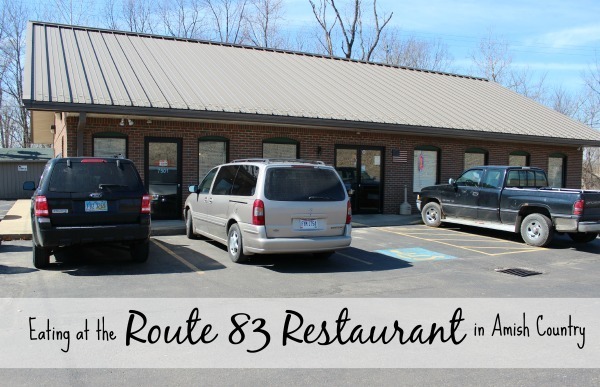 Route 83 Restaurant in Ohio’s Amish Country offers ample parking and though the restaurant is small, it was clean and comfortable. Our server, Nicholas, greeted us promptly and seated us at a window-side table, which was a bit chilly. When we arrived we were the only patrons in the restaurant but that soon changed as regulars began to trickle in, a good indication that we could expect a great meal. We skipped the soda and ordered waters along with the House Sampler appetizer. The platter contained Chicken Wings, Cheese Sticks, Chicken Fingers, Cheesy Fries with bacon, Breaded Poppers and dipping sauces and was a great way to kick off our meal. For our meals, we ordered a Grilled Chicken Breast Sandwich on a Kaiser Bun, Philly Steak on a Hoagie, a Turkey Club and a Fish and Fries Entrée. Each sandwich came with a side of fries, which my daughter substituted for Macaroni and Cheese. I was surprised to see how large the portions were and knew immediately that I wouldn’t be able to finish my meal. The French Fries reminded me of the fries that I get each year at the fair, though not as greasy. My daughter and I doused the fries on my plate in Malt Vinegar and shared them. My Philly Steak Sandwich had green peppers, onions, mushrooms and cheese and was very good. The only recommendation I would make would be to request that your bun is toasted. Otherwise the bread tended to fall apart and I found it easier to eat my sandwich with a fork. My mom ate the Chicken Sandwich and while she thought it was good, she did find it a bit bland and would have preferred a bit more seasoning. My daughter ordered the Turkey Club, which when served with fries could easily be split between two younger children. She did not like the Macaroni & Cheese but in all fairness, we’re a bit picky when it comes to Mac & Cheese. After sharing my fries, she boxed up part of her sandwich to take home. I originally had my eye on the Fried Ice Cream for dessert, but that was before I saw how huge the meal portions were. None of us had room for dessert so I grabbed the check, presented my gift certificate, paid and we headed for home. Our total cost after my gift certificate came to just under $25 plus a tip. Bottom line: I’d definitely return to Route 83 Restaurant. The prices are fair, the portions are huge, the food was good and we received wonderful service. You can save money when you purchase your Restaurant.com gift certificates for Route 83 Restaurant or find restaurant near you on the Restaurant.com website. 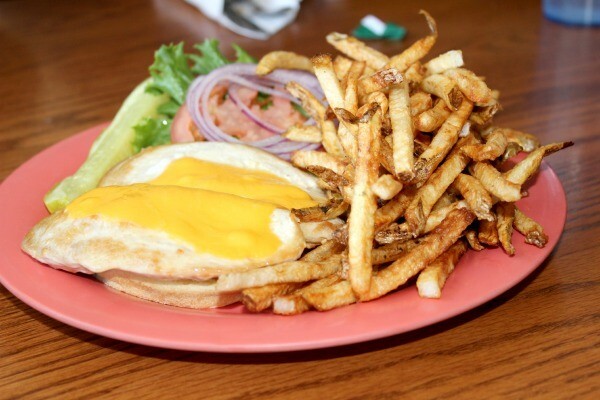 The Route 83 Restaurant is open Monday-Sunday 6 am to 9 pm and serves breakfast all day. 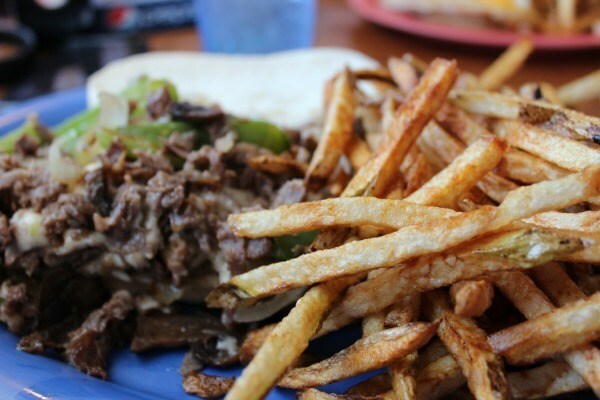 The Philly Steak Sandwich looks awesome! Sometime good ‘plain” food is just what you want! 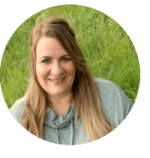 We live near Amish Country in Lancaster, PA and love some of the restaurants there, too! The Restaurant.com app is what I will use to find places to go at and then use it and save lots of $$$. The food looks amazing! I am putting this on my list for when we travel! 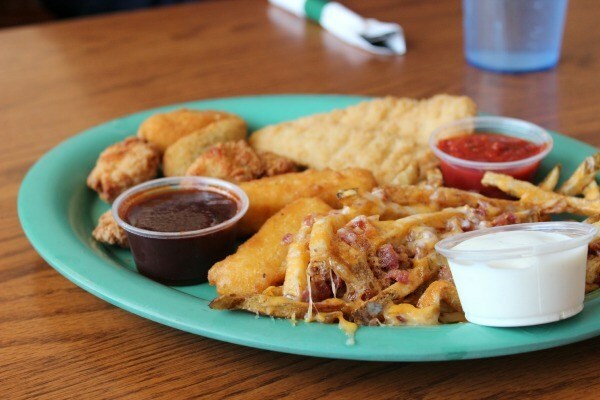 Good food, family atmosphere, casual….seems just about perfect. That meal looks amazing! I have this idea that a restaurant in Amish country would be terrific! That club sandwich is exactly what I’d order. Wow, I just ate breakfast, but this is making me hungry! Those fries especially look delicious! Wow those fries looks super good and so does that sandwich. It is nice to find a good family restaurant with descent prices and descent food. There are too many restaurant chains out there. I love how you can use the Restaurant.com app to discover new restaurants. I hope to do a lot of traveling with my husband next year so this definitely will come in handy. We love trying new places! Thanks for your reviews. The food looks really delicious. I love when you can take home leftovers – no worrying about lunch the next day! 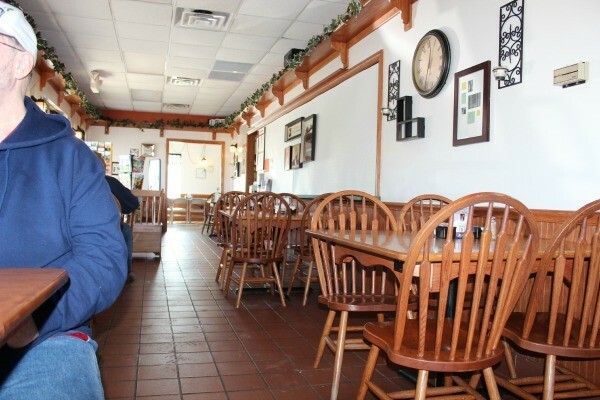 I live in Amish country and have eaten here, The food is great and I always bring leftover home! The portions are certainly large enough to have leftovers! Wow the food looks delicious! I used to live just outside of Amish Country in Ohio for a short while. Amish food is so simple but good! I love Amish food. I’ll have to check them out if I’m ever in the area. I’ve been to Amish Country PA and LOVED the food! This food looks delish!! I’m actually from an area in northern Indiana with a large Amish population. It was totally normal to have buggy parking spots at Walmart! Looks like some tasty food! I have no idea where Holmesville is, but it can only be a daytrip away from me, so I’ll have to add it to our list of possibilities! All of those dishes look good. I love to save money, especially when dining out. I need to see if there are any deals on Restaurant.com for my hometown. Sounds like a yummy place! I think service is the Number one thing for me! I love homey restaurants like this. I love checking out local restaurants instead of big chains while traveling. Thanks for sharing about this spot! What a cozy little restaurant and those dishes look amazing! The portion looked pretty decent. 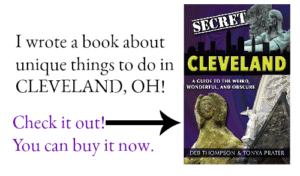 On my bucket list is eating my way through all 50 states so adding this on my list of places to visit if I am ever in Ohio. I really liked how you could find new restaurants using your Restaurant.com app! They really do. All of this looks so good. Causing some serious pregnancy cravings.